If you have trouble paying your bills and you are trapped and stuck in the quagmire of debt, you are not alone. Many folks are struggling with their finances. You may be tempted by ads from companies offering to settle your debts for 50 cents on the dollar, but beware it could be a trap that will leave you further in debt. Do research on your own before embarking on this journey. They would prefer to come up with a solution instead of letting you go bankrupt. What they can do is lower your interest rate, forgive late charges, and/or reducing your monthly payments. Most nonprofit credit counseling services will provide advice even if you can’t afford to pay. To find the nearest nonprofit credit counseling service, contact the National Foundation for Credit Counseling, or the Association of Independent Consumer Credit Counseling Agencies. Ask your Attorney General’s Office if state law requires debt settlement services to be licensed or registered and limits the amount and timing of fees. Read everything carefully and walk away from any contract that differs from what the ads or the salesperson promised to you. 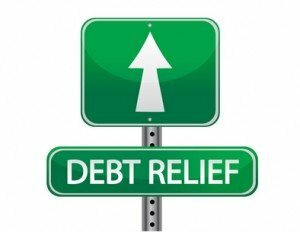 Steer clear of debt settlement services that charge you fees whether or not your debts are ever eliminated. Contact the lender immediately if you are having trouble making your payments and try to work out new payment arrangements. Follow step 1 above. Some people who have too much debt need the fresh start that bankruptcy provides. Get legal advice to see if that is the right choice for you. For help regarding your mortgage, talk to a local housing counselor certified by the federal Department of Housing and Urban Development. Don’t go by the ads. They may not solve your problem but many would try to charge you upfront fees. In that case, stay away from them.